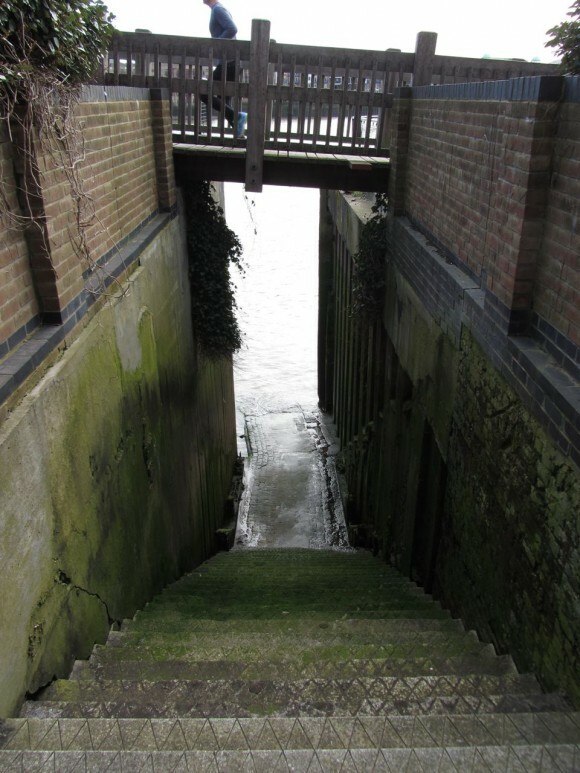 This is the Ratcliffe Cross Stairs today (or at least that is what I’ve deduced from old maps and descriptions of the location, at the junction of Broad Street, Shadwell and Narrow Street, Limehouse) protruding out from the bottom of a block of flats as the lunchtime City joggers pound across the wooden bridge above. The Watermen of the 21st Century cruising past in their City Clipper tour boats. 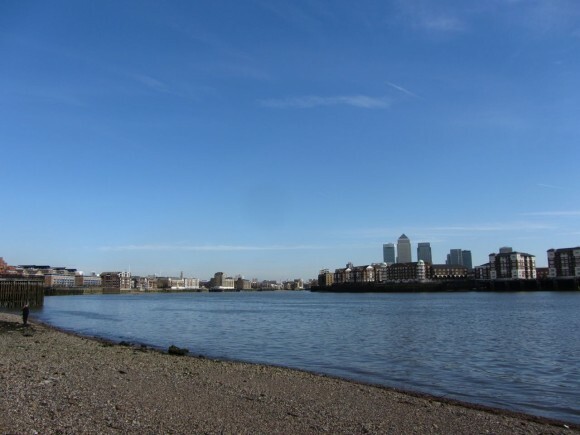 Wonderful London also offers this view of the Thames from the muddy foreshore at Shadwell at Low Tide looking eastwards. 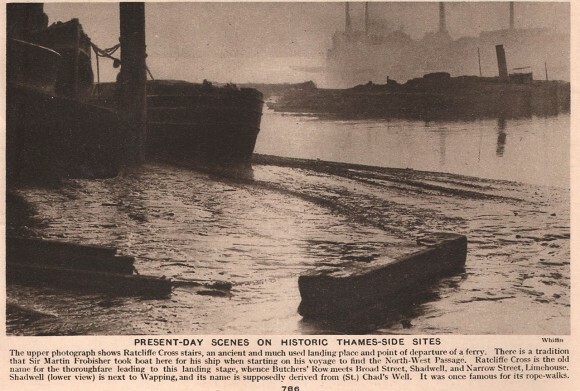 No barges marooned on the shore the day I was there – the Towers of Mammon rising around the river bend on the Isle of Dogs. 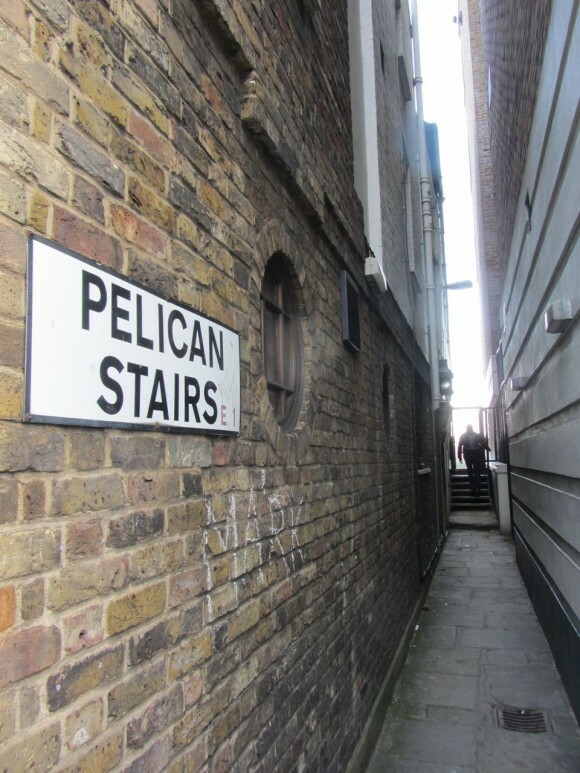 Running down from the historic Prospect of Whitby pub (dating from 1520) are the Pelican Stairs, where on the shore some wag has erected a noose in honour of the ‘Hanging’ Judge Jeffries who was a regular at the Prospect. 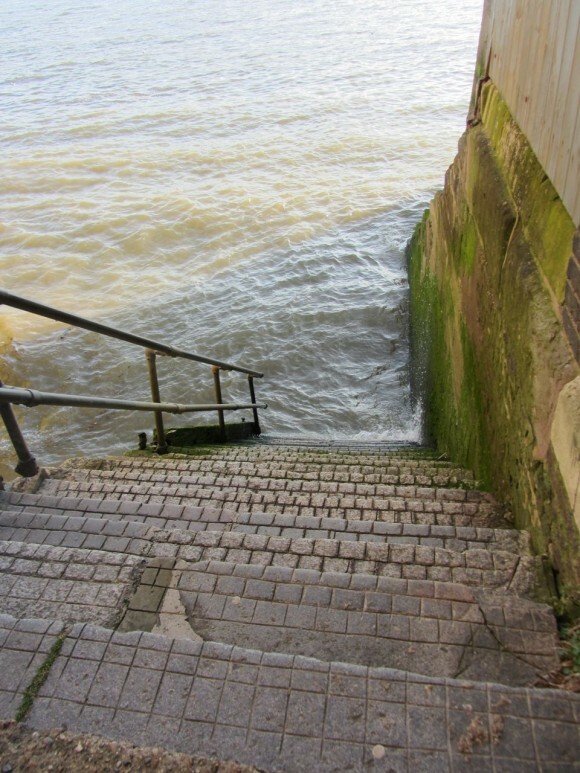 Heading West along Wapping High Street you encounter King Henry’s Stairs. Although these historic riverside rights of way have been preserved, some have been allowed to slowly decay. 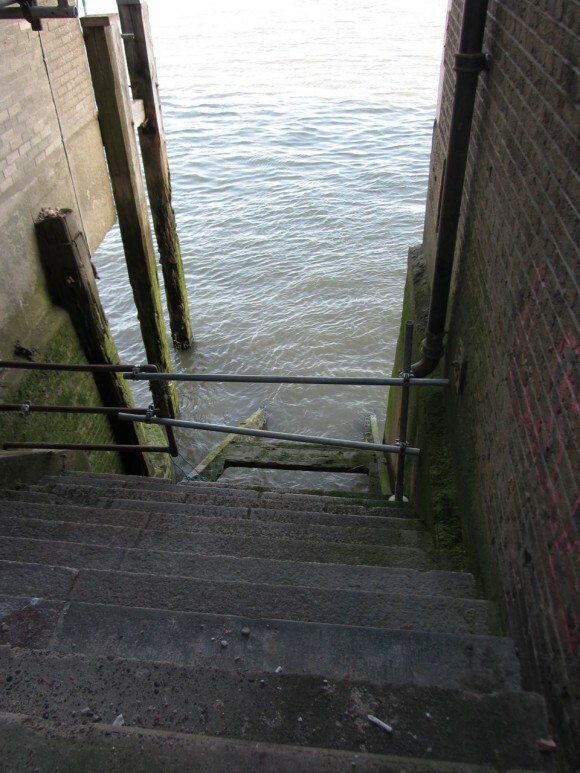 Wonderful London describes Wapping Old Stairs as “one of liveliest spots in the country” in the great days of the maritime Thames. 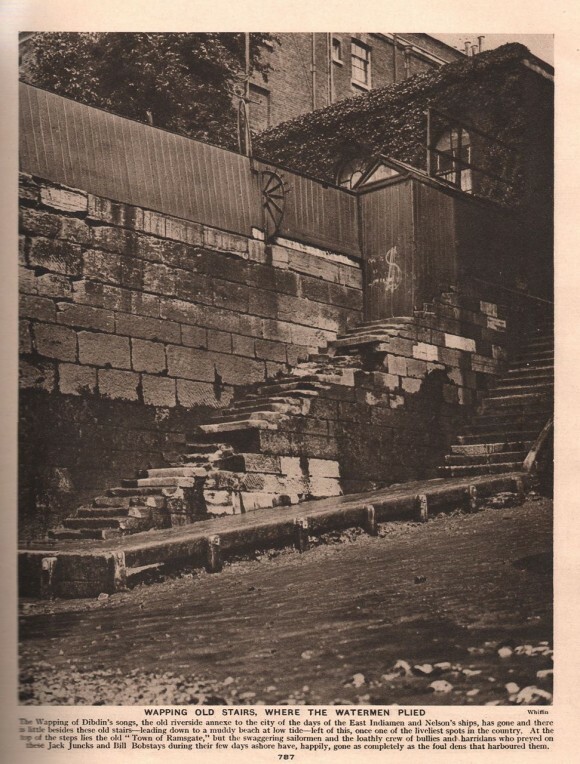 :This is the Ratcliffe Cross Stairs today photo”, what is the google location for this for a visitor from the USA as I found Broad street does not exist today? Broad Street changed its name decades ago. 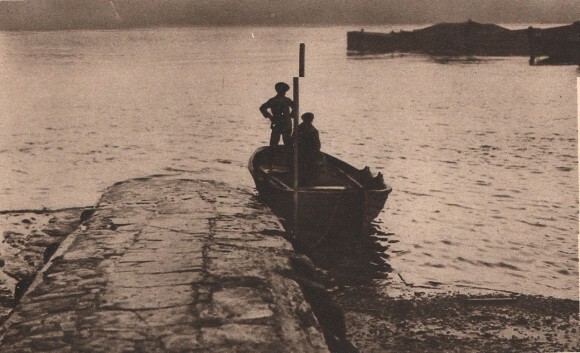 I just went there on Tuessday whilst researching a new walking tour for Ye Olde England Tours. 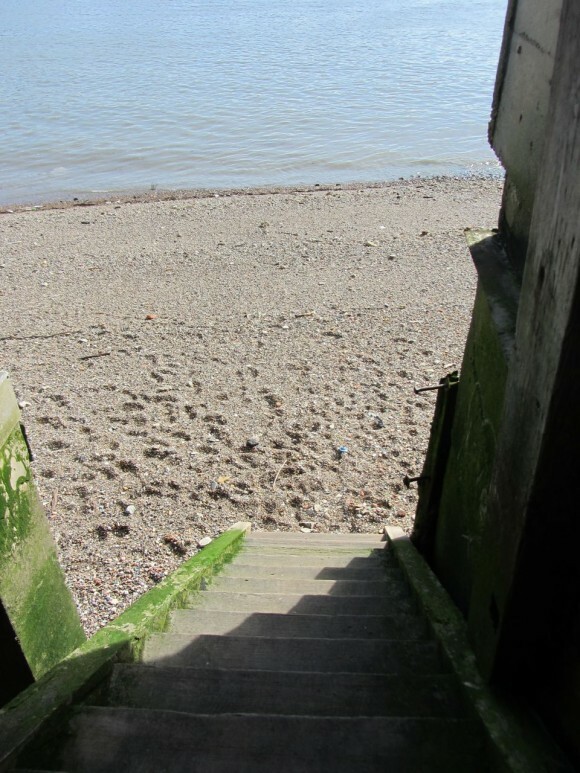 Lots to see around there if you like less-visited parts of London. I came across your most interesting article when trying to research a longcase clock that I have inherited. The brass chapter ring is signed ‘Charles Bayley, Wapping New Stairs London. It will date to between 1720 and certainly no later than 1735. What confuses me is the address on my clock is engraved ‘New’ Stairs?